It’s officially been one year since we’ve started our partnership with Guardian Angels Service Dogs and our sponsorship of a soon-to-be service dog! 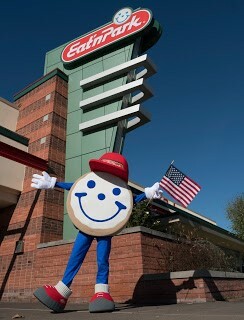 To help celebrate the newest member of our Eat'n Park family, we asked our team members to help us name her! After over 200 suggestions were submitted, we asked our Facebook family to choose a winner. After 3,500 votes, our new furry friend was named Parker! Parker, a former rescue dog, is now almost a year and a half old! Over the past 12 months, she’s been learning how to mitigate the effects of conditions such as post-traumatic stress disorder, traumatic brain injury, seizure disorders and mobility issues through weekly training classes. In addition, her Foster Family has been working with her regularly on specific tasks including house manners and desensitizing her to public areas. 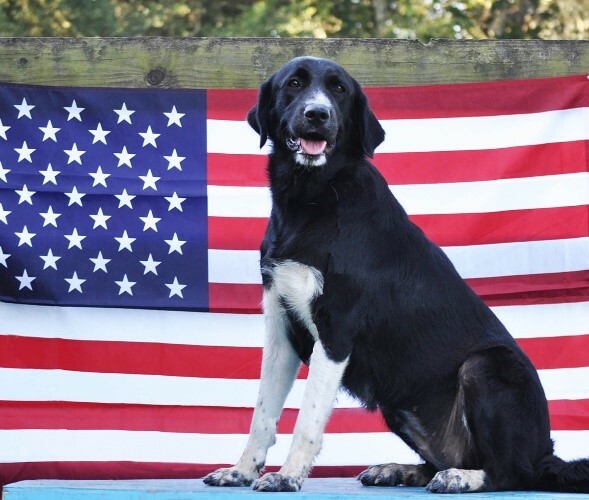 This month, Parker will finally meet her veteran recipient and the pair will go through a 10-day pairing program. During this time, Guardian Angels will make sure that the two are a good match and train the veteran on how to work with her. Keep an eye on our blog for future updates on Parker and her new family! Enhancing the lives of our military, veterans and their families is one of the three focus areas of our philanthropic efforts. In addition to supporting various organizations dedicated to serving veterans, all November long, former and current military members will receive 10% off for themselves and their entire party each visit (dine-in only). Proof of service is required for this discount, so please be prepared to show your Military ID or your Veteran Designation on your driver’s license. We will also extend this promotion to service members who arrive in uniform. The discount will be applied to any meals on the same check. While this offer cannot be combined with any other coupon offer or discount, it can be used with our free coffee promotion for voters on Election Day on Tuesday, November 6. It’s also not available for takeout. One year ago, we announced our partnership with Guardian Angels Medical Service Dogs and our sponsorship of a soon-to-be service dog, who will be paired with a local veteran after her training is complete. Service dogs help to mitigate the challenges many veterans face, including PTSD (Post Traumatic Stress Disorder), traumatic brain injury, seizure disorders, glucose imbalance, mobility issues, and more. To help celebrate the newest member of our Eat'n Park family, we asked our team members to help us name her! Over 200 suggestions were submitted, but we just still couldn’t decide. So, we asked our Facebook family, and after 3,500 votes, our new furry friend was named Parker! Learn more about Parker and her ongoing training. Our sincere thanks to veterans for their selfless service to our country. 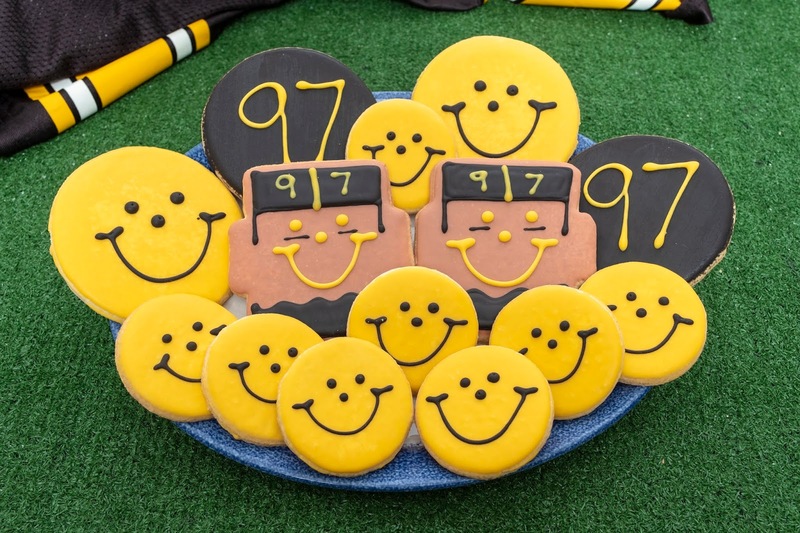 Every year, we select a Pittsburgh icon to honor with their very own Smiley Cookie, available exclusively for order from SmileyCookie.com. Sales from these cookies benefit our Caring for Kids campaign, which supports local children’s hospitals. Past honorees have been Pittsburgh Dad, Brett Keisel, Rick Sebak, and Mikey & Bob from 96.1 KISS. We are proud to announce that our 2018 honorary Smiley Cookie is Cam Hayward! 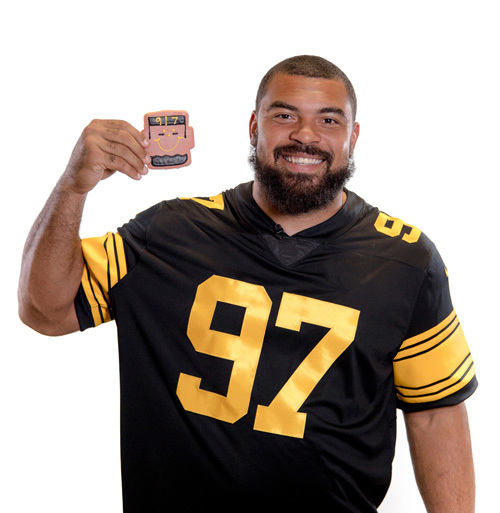 100% of the proceeds from Cam’s Smiley Cookies will benefit local children’s hospitals through our Caring for Kids campaign. You can find these nut-free, individually wrapped cookies exclusively on SmileyCookie.com - but hurry, because they’re only available for order until November 19! Order your Cam Heyward Smiley Cookies today! Happy Almost Halloween! While you’re waiting for the great pumpkin to arrive, carve out some time to pick up a bite to eat and use this coupon for 20% off your takeout purchase! Coupon valid October 29-31, 2018. It’s time to get your fall on at Eat’n Park, the place for seasonal smiles! 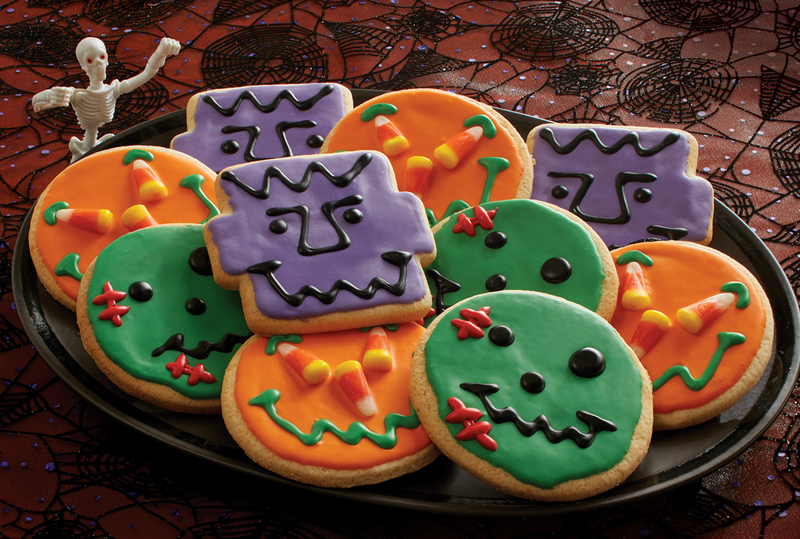 Our Monster Mash Smiley Cookies, featuring Halloween Smiley, Zombie Smiley, and FrankenSmiley, have arrived. Plus, your fall favorites have returned! Here’s one more thing that will leaf you smiling: A new coupon for $2 off! Coupon valid October 15-21, 2018. We’re celebrating Online October with a great offer – All month long, you can enjoy 10% off your online order with coupon code “OCTOBER”. So what are you waiting for? Take advantage of our quick, easy, and delicious takeout experience today! To redeem this offer, enter the coupon code "OCTOBER" during checkout when you place your online order. Coupon code valid Monday, October 1 – Wednesday, October 31, 2018. Place your order online here! It's time to get spooky with Eat'n Park! With Halloween only a few weeks away, now is the time to get prepared with hauntingly good sweets and treats! Our Monster Mash Smiley Cookies will make your Halloween party a graveyard smash! 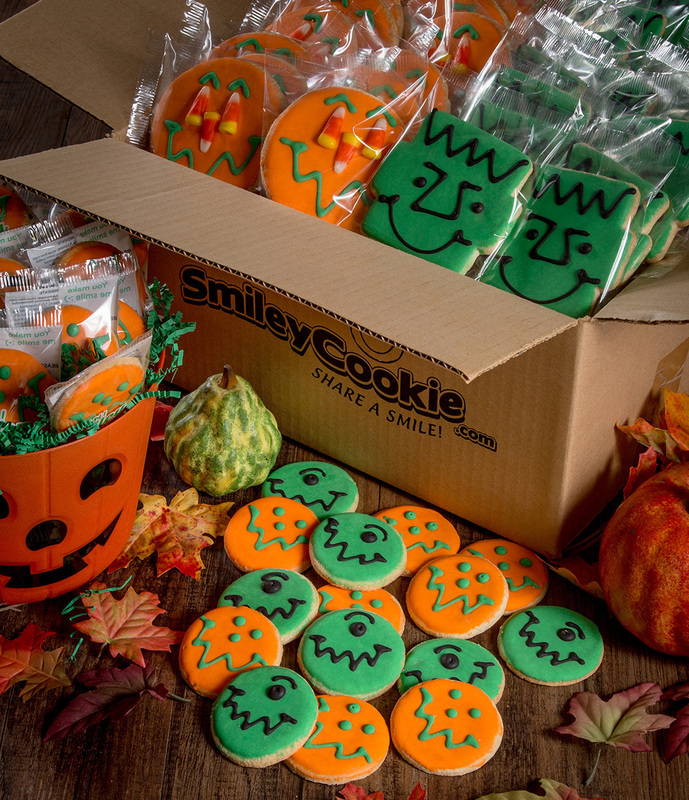 Featuring our classic Halloween Smiley Cookies, complete with candy corn eyes and crooked smiles, and our Zombie Smiley and FrankenSmiley Cookies, these packs are frightfully delicious! Pick some up today for your ghostly gathering for only $6.99 a dozen. Trick or treat... give them something good to eat! Be the coolest house on the block with Bulk Halloween Smiley Cookies from SmileyCookie.com! These sweet treats are individually wrapped, nut-free, and kosher, making them the perfect goodie giveaway. Available in case sizes of 40-160 cookies, our spooktactular designs include aliens, ghosts, goblins, Frankenstein, zombies, vampires, and our classic Halloween Smileys. Get ready to look scary good in our new Halloween apparel! 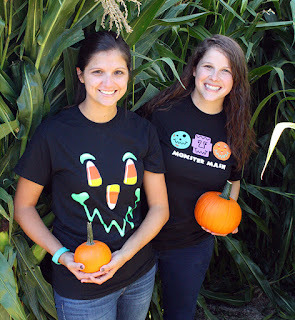 Available in both kids and adult sizes, our Glow in the Dark Halloween Smiley and Monster Mash T-Shirts are the perfect attire for handing out sweet treats to little trolls, ghosts, and goblins! They’re available for just $9.99 for adults and $7.99 for kids. Better hurry though, because they're flying off the shelves! *Kids Monster Mash T-Shirts are only available at these locations.